Oliver Sherman is a drama/psychological thriller written by independent Canadian filmmaker Ryan Redford. Based on Rachel Ingalls’ short story “Veterans,” the film centres on Sherman Oliver, a war veteran who seeks out an old platoon buddy and his wife and tries to resolve some issues from the past. 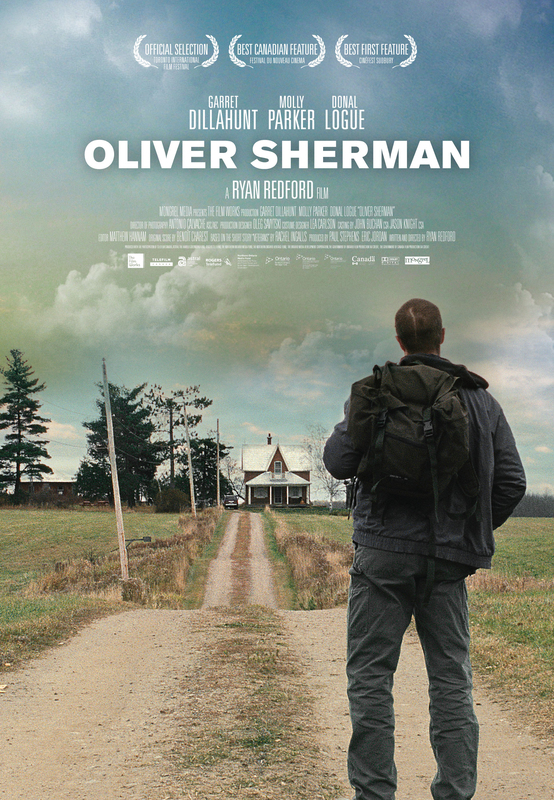 Oliver Sherman was filmed in the North Bay/Sudbury area in Ontario in October and November 2009. It premiered at the Toronto Film Festival in September 2010 and was released in theatres in Canada on February 4, 2011. It will be out on DVD in Canada on May 24 and can be pre-ordered on Amazon.ca. Feeling lost and disconnected, with no family of his own, veteran Sherman Oliver sets out to the countryside in search of the soldier who saved him back in the war. That man, Franklin Page, has long since moved on—to a wife, two children, and a reliable job in a reliably safe and quiet rural town. Upon arriving, Sherman seems at first a harmless if awkward shell of a man. But as he inserts himself further into the Page’s life, he reveals himself to be an angry, unstable individual prone to great jealousy and deep resentment. The stability Franklin worked so hard to establish is soon threatened, and the violence he believed he’d left behind in the war begins to re-emerge and cloud over both the household and the town itself.